Explicit & implicit faith: who can be saved? | ADULT CATECHESIS & CHRISTIAN RELIGIOUS LITERACY IN THE ROMAN CATHOLIC TRADITION: hosting ONLY True Christians!! !, or "How to think Catholic!!" Explicit & implicit faith: who can be saved? 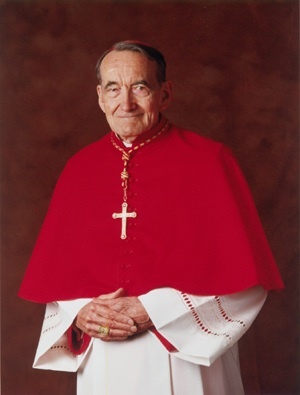 -by Avery Cardinal Dulles, SJ, (1918 – 2008), held the Laurence J. McGinley Chair in Religion and Society at Fordham University. This essay is adapted from the Laurence J. McGinley Lecture delivered on November 7, 2007. “Nothing is more striking in the New Testament than the confidence with which it proclaims the saving power of belief in Christ. Almost every page confronts us with a decision of eternal consequence: Will we follow Christ or the rulers of this world? The gospel is, according to Paul, “the power of God for salvation to everyone who has faith” (Rom. 1:16). The apostles and their associates are convinced that in Jesus they have encountered the Lord of Life and that He has brought them into the way that leads to everlasting blessedness. By personal faith in Him and by baptism in His name, Christians have passed from darkness to light, from error to truth, and from sin to holiness. Paul is the outstanding herald of salvation through faith. To the Romans he writes, “If you confess with your lips that Jesus is Lord and believe in your heart that God raised Him from the dead, you will be saved” (Rom. 10:9). Faith, for him, is inseparable from baptism, the sacrament of faith. By baptism, the Christian is immersed in the death of Christ so as to be raised with Him to newness of life (Rom. 6:3-4). The Book of Acts shows the apostles preaching faith in Christ as the way to salvation. Those who believe the testimony of Peter on the first Pentecost ask him what they must do to be saved. He replies that they must be baptized in the name of Jesus Christ for the forgiveness of their sins and thereby save themselves from the present crooked generation (Acts 2:37-40). When Peter and John are asked by the Jewish religious authorities by what authority they are preaching and performing miracles, they reply that they are acting in the name of Jesus Christ and that “there is no other name under heaven given among men by which we must be saved” (Acts 4:12). Paul and his associates bring the gospel first of all to the Jews because it is the fulfillment of the Old Testament promises. When the Jews in large numbers reject the message, Paul and Barnabas announce that they are turning to the Gentiles in order to bring salvation to the uttermost parts of the earth (Acts 13:46-47). A few chapters later in Acts, we see Paul and Silas in prison at Philippi. When their jailer asks them, “What must I do to be saved?” they reply, “Believe in the Lord Jesus and you will be saved.” The jailer and his family at once accept baptism and rejoice in their newfound faith (Acts 16:30-34). The same doctrine of salvation permeates the other books of the New Testament. Mark’s gospel ends with this missionary charge: “Go into all the world and preach the gospel to the whole of creation. He who believes and is baptized will be saved; but he who does not believe will be condemned” (Mark 16:15-16). John in his gospel speaks no less clearly. Jesus at one point declares that those who hear His word and believe in Him do not remain in darkness, whereas those who reject Him will be judged on the last day (John 12:44-50). At the Last Supper, Jesus tells the Twelve, “This is eternal life, that they may know Thee, the only true God, and Jesus Christ Whom Thou hast sent” (John 17:3). John concludes the body of his gospel with the statement that he has written his account “so that you may believe that Jesus is the Christ and that believing you may have life in His name” (John 20:31). The New Testament is almost silent about the eternal fate of those to whom the gospel has not been preached. It seems apparent that those who became believers did not think they had been on the road to salvation before they heard the gospel. In his sermon at Athens, Paul says that in times past God overlooked the ignorance of the pagans, but he does not say that these pagans were saved. In the first chapter of Romans, Paul says that the Gentiles have come to a knowledge of God by reasoning from the created world, but that they are guilty because by their wickedness they have suppressed the truth and fallen into idolatry. In the second chapter of Romans, Paul indicates that Gentiles who are obedient to the biddings of conscience can be excused for their unbelief, but he indicates that they fall into many sins. He concludes that “all have sinned and fall short” of true righteousness (Rom. 3:23). For justification, Paul asserts, both Jews and Gentiles must rely on faith in Jesus Christ, Who expiated the sins of the world on the cross. Origen and Cyprian, in the third century, formulated the maxim that has come down to us in the words Extra ecclesiam nulla salus ””Outside the Church, no salvation.” They spoke these words with heretics and schismatics primarily in view, but they do not appear to have been any more optimistic about the prospects of salvation for pagans. Assuming that the gospel had been promulgated everywhere, writers of the high patristic age considered that, in the Christian era, Christians alone could be saved. In the East, this view is represented by Gregory of Nyssa and John Chrysostom. The view attributed to Origen that hell would in the end be evacuated and that all the damned would eventually be saved was condemned in the sixth century. The views of Augustine and Fulgentius remained dominant in the Christian West throughout the Middle Ages. The Fourth Lateran Council (1215) reaffirmed the formula “Outside the Church, no salvation,” as did Pope Boniface VIII in 1302. At the end of the Middle Ages, the Council of Florence (1442) repeated the formulation of Fulgentius to the effect that no pagan, Jew, schismatic, or heretic could be saved. On one point the medieval theologians diverged from rigid Augustinianism. On the basis of certain passages in the New Testament, they held that God seriously wills that all may be saved. They could cite the statement of Peter before the household of Cornelius: “Truly I perceive that God shows no partiality, but in every nation anyone who fears him and does what is right is acceptable to him” (Acts 10:34-35). The First Letter to Timothy, moreover, declares that God “desires all men to be saved and come to the knowledge of the truth” (1 Tim. 2:4). These assurances made for a certain tension in Catholic teaching on salvation. If faith in Christ was necessary for salvation, how could salvation be within reach of those who had no opportunity to learn about Christ? The Dominican Melchior Cano argued that these populations were in a situation no different from that of the pre-Christian pagans praised by Justin and others. They could be justified in this life (but not saved in the life to come) by implicit faith in the Christian mysteries. Another Dominican, Domingo de Soto, went further, holding that, for the unevangelized, implicit faith in Christ would be sufficient for salvation itself. Their contemporary, Albert Pighius, held that for these unevangelized persons the only faith required would be that mentioned in Hebrews 11:6: “Without faith it is impossible to please him. For whoever would draw near to God must believe that he exists and that he rewards those who seek him.” They could therefore be saved by general revelation and grace even though no missionary came to evangelize them. Mystici Corporis represents a forward step in its doctrine of adherence to the Church through implicit desire. From an ecumenical point of view, that encyclical is deficient, since it does not distinguish between the status of non-Christians and non-Catholic Christians. The next important document came from the Holy Office in its letter to Cardinal Cushing of Boston in 1949. The letter pointed out ”in opposition to Father Leonard Feeney, S.J., and his associates at St. Benedict Center” that, although the Catholic Church was a necessary means for salvation, one could belong to it not only by actual membership but by also desire, even an unconscious desire. If that desire was accompanied by faith and perfect charity, it could lead to eternal salvation. Neither the encyclical Mystici Corporis nor the letter of the Holy Office specified the nature of the faith required for “in voto” status. Did the authors mean that the virtue of faith or the inclination to believe would suffice, or did they require actual faith in God and divine providence, or actual faith in the Trinity and the Incarnation? In several important texts, Vatican II took up the question of the salvation of non-Christians. Although they were related to the Church in various ways, they were not incorporated in her. God’s universal salvific will, it taught, means that he gives non-Christians, including even atheists, sufficient help to be saved. Whoever sincerely seeks God and, with his grace, follows the dictates of conscience is on the path to salvation. The Holy Spirit, in a manner known only to God, makes it possible for each and every person to be associated with the Paschal mystery. “God, in ways known to himself, can lead those inculpably ignorant of the gospel to that faith without which it is impossible to please him.” The council did not indicate whether it is necessary for salvation to come to explicit Christian faith before death, but the texts give the impression that implicit faith may suffice. While repeatedly insisting that Christ is the one mediator of salvation, Vatican II shows forth a generally hopeful view of the prospects of non-Christians for salvation. Its hopefulness, however, is not unqualified: “Rather often, men, deceived by the evil one, have become caught up in futile reasoning and have exchanged the truth of God for a lie, serving the creature rather than the Creator. Or, some there are who, living and dying in a world without God, are subject to utter hopelessness.” The missionary activity of the Church is urgent for bringing such persons to salvation. After the council, Paul VI (in his pastoral exhortation “Evangelization in the Modern World”) and John Paul II (in his encyclical Redemptoris Missio ) interpreted the teaching of Vatican II in relation to certain problems and theological trends arising since the council. Both popes were on guard against political and liberation theology, which would seem to equate salvation with formation of a just society on earth and against certain styles of religious pluralism, which would attribute independent salvific value to non-Christian religions. In 2000, toward the end of John Paul’s pontificate, the Congregation for the Doctrine of the Faith issued the declaration Dominus Iesus , which emphatically taught that all grace and salvation must come through Jesus Christ, the one mediator. One of the most interesting developments in post-conciliar theology has been Karl Rahner’s idea of “anonymous Christians.” He taught that God offers his grace to everyone and reveals himself in the interior offer of grace. Grace, moreover, is always mediated through Christ and tends to bring its recipients into union with him. Those who accept and live by the grace offered to them, even though they have never heard of Christ and the gospel, may be called anonymous Christians. “The prerogative of Christians consists in the possession, not of exclusive knowledge and spiritual aid, but of gifts high and peculiar; and though the manifestation of the Divine character in the Incarnation is a singular and inestimable benefit, yet its absence is supplied in a degree, not only in the inspired record of Moses, but even, with more or less strength, in those various traditions concerning Divine Providences and Dispositions which are scattered through the heathen mythologies. I have been given an incalculable amount. I submit myself, wholly, or at least I try to to the Author of ALL that gift, in most profound gratitude possible. Be merciful to me, O Lord, for I am a sinful man. cf Lk 18:13.